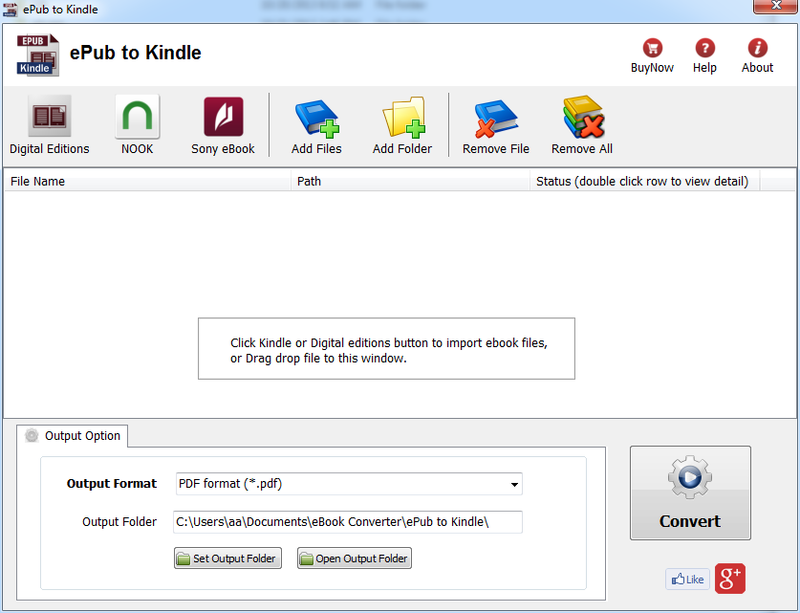 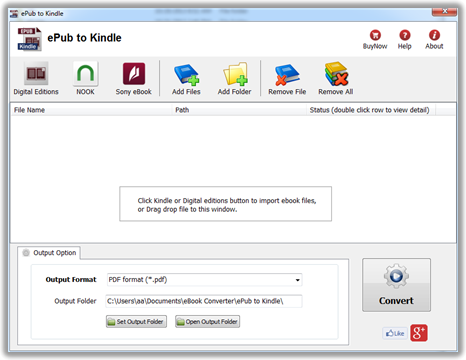 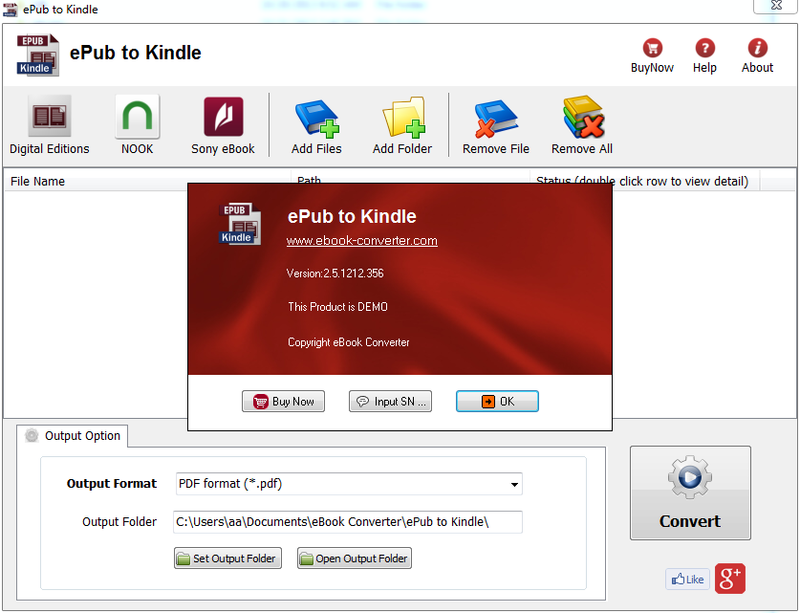 ePub to Kindle is powerful tools to convert ePub to Kindle, PDF, Word, Text and Html format file, it support both Adobe Digital Editions DRM and Barnes Noble NOOK DRM ebook, it also support ebook purchased from Google Play, Sony eBook Store, Kobo ebook store and ebook download in Adobe digital editions, support both ePub and PDF format file, it is the most easy-to-use eBook conversion software ever, decrypt DRM protection and convert ePub to Kindle mobi, PDF, txt and html format with 1-click. 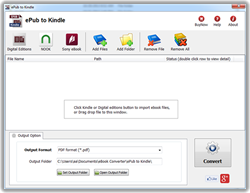 it is award-winning and a must-have tool for all eBook reader. 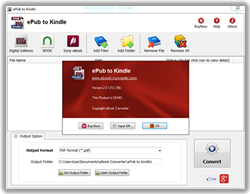 100% safe with no adware, spyware, or viruses.